There was a time when buying therapeutic essential oils was remarkably difficult. Buying pure, therapeutic essential oils was almost impossible. All you could find were the less expensive oils, many of them thinned with synthetic chemicals to insure that each batch smelled and tasted the same. Those products were ideal for the recreational fragrance and flavoring industries where consistency was king. But for therapeutic, medicinal uses, medical professionals required the natural complex qualities of the aromatic plants distilled according to exacting standards. Doctors and researchers discovered early on that they got better and more consistent results when plants were grown in a certain way, on the right kinds of soil under the right climate conditions, extracted in a certain way, and handled according to exacting rules. Distilling essential oils for medicinal uses became a critical component of therapeutic aromatherapy. These products were typically sourced from smaller growers and distillers all over the world. Consequently there has grown up in the industry a network of knowledge of who the suppliers are that deliver consistent therapeutic quality. We work only with such suppliers. They can recognize a quality product and they have developed relationships with the best suppliers from all over the world after decades of experience. Quality can also change from year to year and from batch to batch. We are continually switching suppliers as samples are sent and evaluated. Here are some questions about quality that are often asked by companies who sell oils at double the prices of our oils (or more). They attempt to justify their high prices on the basis of sometimes faulty reasoning and facts. When you have been in the industry for awhile and tried other therapeutic essential oils at different prices, you begin to recognize where you may be misleading you. Buying essential oils that are affordable and also of medicinal quality should not be that difficult. Anyone who purchases therapeutic essential oils from all over the world knows that “organic” is impossible to nail down in many countries that supply some of the most important oils. Of course, we insist on organic oils where we can receive that certification. That’s why the most affordable oils, grown closest to home, are usually a better choice. But when you're buying essential oils from all over the world, many are wildcrafted or grown where no certification can be guaranteed. We avoid buying essential oils from those countries and suppliers where quality is suspect. Each batch is individually reviewed for its therapeutic quality, not only using gas chromatographs and mass spectrometry but also by actually testing the oil in a therapeutic setting. Each oil has a batch number, and if any of our customers feel they can recognize an oil that is not of the highest therapeutic grade, we encourage them to contact us. We have many suppliers and will gladly make changes with your help to assure all our customers that our oils are both affordable and of the highest therapeutic quality. Don't be misled about the word "pure" when buying essential oils. The purest possible oils or those that someone would call “crystal clean” could well be synthetic and of the lowest possible quality where therapy and medicine are concerned. Synthetic oils are always consistent in smell and taste. For us, and I would hope for anyone using oils for therapy, a “pure” oil should mean one that has no synthetic components at all. It is extracted according to medicinal standards and not just fragrance-and-flavor standards. So purity can be a misleading term. Do you grow your plants organically and extract the oils yourself? We have trusted suppliers who are buying essential oils from all over the world, bottling them, and shipping them to you. You will know them from the labels on their products. They do not disclose their individual suppliers. That is a trade secret, and we respect that. They also don’t label the country of origin because that can change from batch to batch and season to season according to the quality of the oil. Any supplier that guarantees a consistent country of origin may not be monitoring their oils carefully enough and buying essential oils properly according to the best quality. Is there a brand of therapeutic essential oils that is the best? That question calls for a little education. 1. Recreational fragrance oils for things like candles, perfume and potpourri. 2. Food flavoring oils for things like chewing gum, sodas and toothpaste. 3. 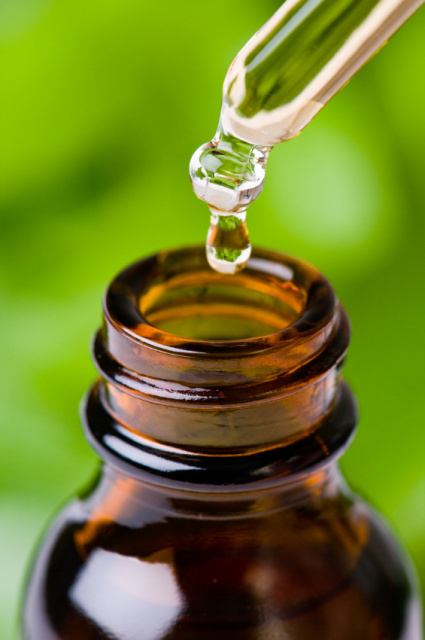 Therapeutic essential oils for real medicinal use. The first two can be synthetic, natural or mixtures of the two. The consistent flavor or aroma is more important than the real therapeutic value, so cheap synthetics work for candle, perfume and chewing gum companies. Even if the oils come from natural sources, they can be distilled or extracted in a cheap way. This, of course, destroys much of their therapeutic value. There are several network marketing companies like DoTerra and Young Living that claim to have the ONLY pure, quality oils on the market. With rare exceptions they purchase their oils from the same countries and vendors all over the world where Butterfly Express orders theirs. So why have we chosen to distribute Butterfly Express oils? DoTerra and Young Living Oils are twice as expensive (or more) because they must have a substantial markup to afford large offices to host Distributors when they come to town, their huge upline commission structure, their cars, their cruises, their conventions and a lot more. The network marketing oils will claim a certain certification process with an important sounding acronym like “EOBBD Pure,” “Seed-to-Seal,” or “CPTG Grade.” They go to great lengths to do impressive-sounding things to justify the high cost. We’ve worked inside some of these companies for decades and understand what they do and why they need to do it. This just means that when an oil arrives from the same place as ours, a certification person puts their stamp of approval on it to justify a higher price. The mission of Butterfly Express and youroilessentials.com is to provide you with affordable, high quality oils. We don’t require markups for uplines, cars, cruises or conventions. So how does Butterfly Express certify their oils? The owners of Butterfly Express have used and purchased essential oils for medicinal uses and trained many therapists themselves. They test every batch of oils for therapeutic value. They examine the gas chromatographs and mass spectrometer charts provided by each vendor. But more importantly they test the oils in the therapeutic ways they will be used every day in your home. Several people in their office are considered “Noses.” This means that they have been evaluating the therapeutic value of essential oils and using them in professional medicinal and health-care therapy for decades, not just a few years. With the expert assistance of Butterfly Express, we distribute affordable, therapeutic quality oils so you can afford to use a lot of them and get to know them as your best friends for all your home health-care needs.